and a couple extra things (dslr camera, book, water bottle, small snack). The bag needs to be light enough so it won't feel super heavy by the end of the day, but super durable and comfortable. 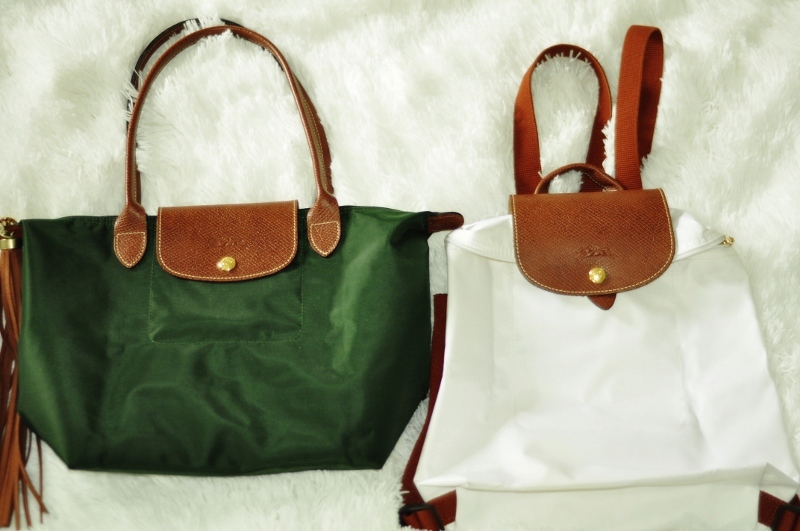 My number ONE recommended bag is definitely the Longchamp Le Pliage totes and backpack. Durable leather handles, sturdy hardware, the nylon canvas is practically indestructible and it has such a beautiful sheen to it, and it also makes this bag light as a feather on your shoulder no matter how long you carry it. The satchel/crossbody has to be my next essential. It's the bag that you can turn to for heading to the grocery store, or to dress up nicer with. It has a comfortable handle so that you can hold your bag close, plus a long strap to allow your hands to be free whilst you shop or stand with coffee and chat with a friend at the mall. This style of bag is everywhere and I recommend finding one in your favorite type of leather, or a beautiful canvas. This is the type of bag to splurge and find one in really good quality. I have had satchels with long straps that have snapped off, short handles that have twisted oddly. This is my favorite style of bag for everyday and it is worth getting a good one. 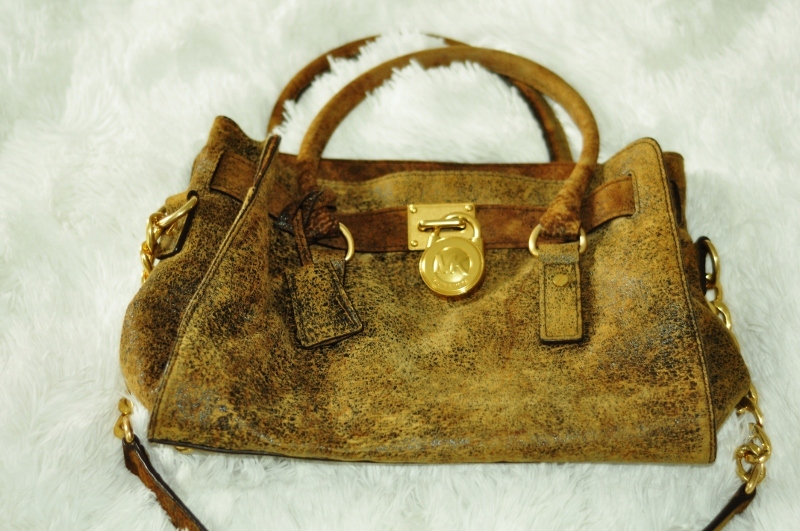 Steve Madden also makes beautiful satchels at a lower price point with amazing quality. Michael Kors Gansevoort satchel in black pebbled leather with gold hardware ($300). Satin canvas Coach satchel ($170). 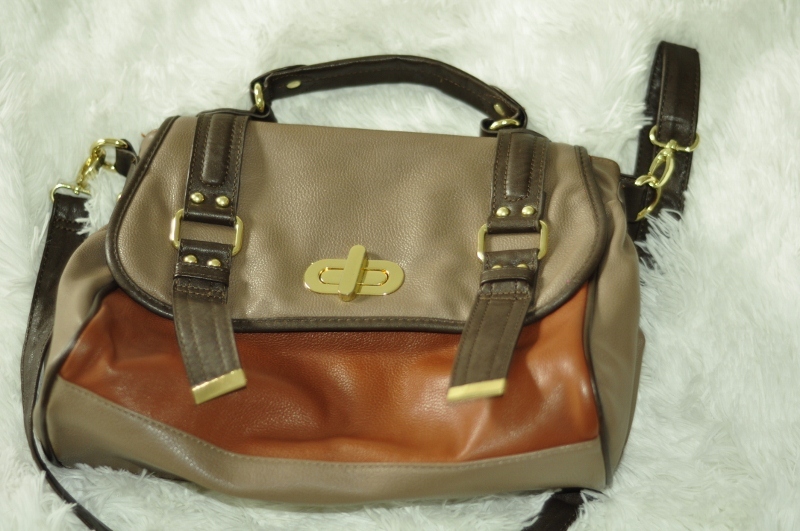 Steve Madden tri-color leather satchel. Bought at Ross $40. As much as I need a satchel that I can tote around lots of things in if I need, it is important to have a nice small bag for parties, quick stops, more glamorous looks. A jeans and tee looks amazingly chic and glam with pumps and a small bag (think the Fendi baguette that Carrie on SATC always carried)! It should be small enough to carry a wallet, phone, lipstick and keys. I found both of mine thrifted and vintage and I think it's a great way to find a nice small bag! Find one that you feel comfortable with and one you know you won't accidentally put down! 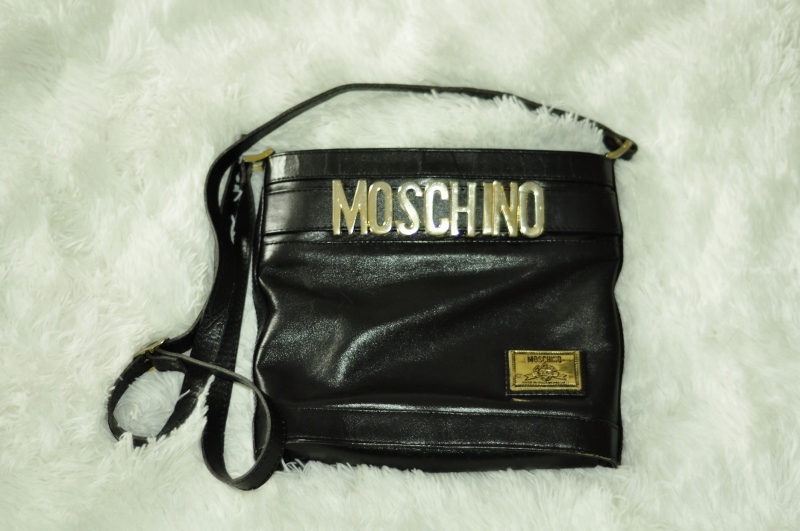 Moschino black leather, (paid 14 euros, worth a lot more! major score!). 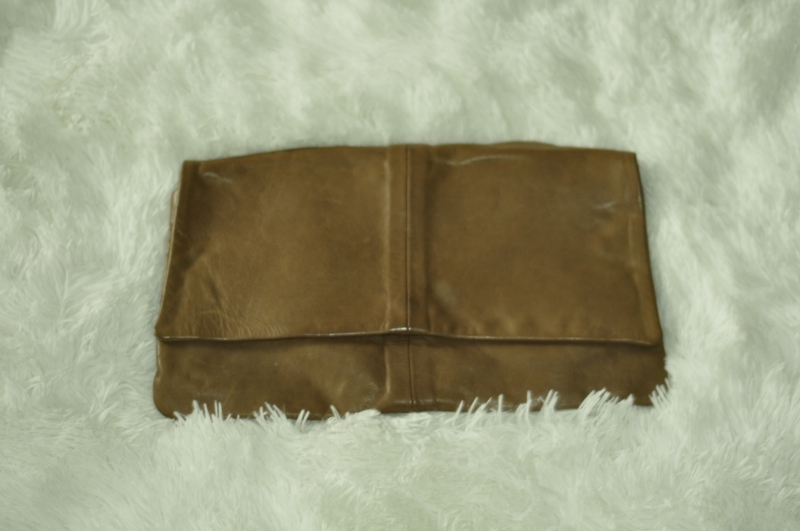 Vintage taupe leather clutch (found at Sacramento Antique Faire for $3). This is my recommended splurge. It should not be your everyday bag like your satchel or your tote (unless you are loving it that much! ), but this is your bag that is going to be a beautiful classic and makes you feel fabulous carrying it! The it-bag can be as lavish as an Hermes Birkin, or something gorgeous you find at TJ Maxx. Make sure it is lush, beautiful, good quality so it will last, and keep it in a dust bag! 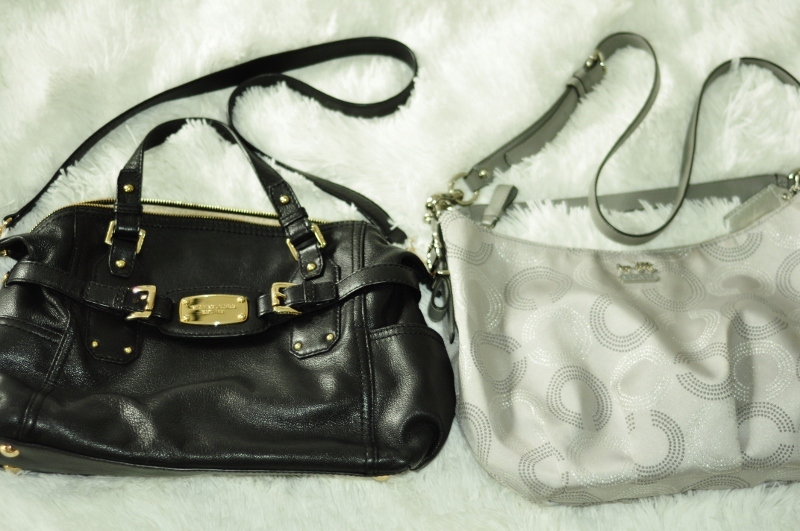 I am a lover of Michael Kors and a Hamilton is the signature it-girl bag for me! I was not sure if I really understood what Bagsnob was talking about when they wrote about the "Treasure" bag being essential, but as I looked through my bags I knew which one was my own treasure! The Treasure bag is more than the trendy/"it" bag. It is classic. It is an investment. It will never go out of style. It can be as versatile as a Chanel flap bag or as frivolous as a McQueen minaudier. If it is a treasure to you, then cherish that bag and feel fabulous carrying it! Let it be the bag all the gals stare at! For me, it is the Michael Kors Vanilla Grayson. Compare it to the Louis Vuitton Speedy. It demands to be held and given attention!! My bag collection would not be complete without this treasure of a bag for me. Michael Kors medium Grayson in Vanilla ($328). That wraps up my five essential bags! The tote/travel. The satchel/crossbody. The clutch/small bag. The Trendy/"it" bag. And the Treasure, of course! Michael Kors Jetset medium tote in Zinnia (on sale for $150). 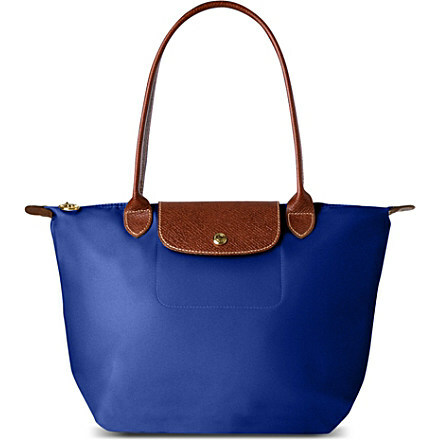 Michael Kors regular shopping tote in orange pebbled leather ($100, on sale). Neon messenger crossbody from Target ($24). I hope you go through your bags and start finding your essentials! If you have a zillion of one type and you don't use them often enough, sell or trade them to get the type you don't have and fill in the gaps in your wardrobe. Have a bag-swap party with your friends. Take them to Freestyle, crossroads, buffalo exchange and get some store credit or cash to save up for a splurge piece. Just think: five of those $20 cheap purses from Forever 21, H&M or Target can add up to $100 that you can put towards a good quality Michael Kors, Coach, Longchamp or other enduring piece! I have used these bags consistently for the last couple/few years and will continue to use them for many, many more! (my Cobalt blue baby I need! Must get before the Fall colors come out again).